Usually when we think of ATMs, only one thing comes to mind: getting that paper and fuming at the high withdrawal rates. However, in the urban slums of India, ATMs have a completely new meaning and it has little to do with money. 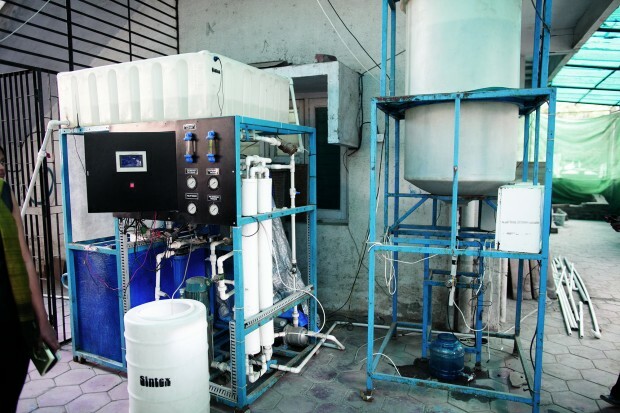 Indian startup company, Sarvajal, has come up with an idea where it plans to deliver low cost clean water to folks in the slums by way of ATM machines. Residents will need an ATM card to make transactions (and will be required to pay for the water), but anyone with proper access can get clean water from these machines. That is far better than standing in line for government water trucks or risk acquiring water from potential unclean sources, something people in developed nations cannot even imagine but is a reality in developing areas like India. Sarvajal plans on launching 50 of its water ATMs across urban areas in the next few months, that’s on top of the 35 water ATMs already available. Furthermore, the devices have over 25 sensors that monitor filtration and water pressure. In addition, maintenance and repairs should be an easy and low cost affair, which means the cost to residence should be inexpensive for years to come. Since government water is free, it is not yet certain if residence would find interest in paying for clean and affordable water. We’re thinking folks will continue to rely heavily on government distributed H2O for purposes such as washing and cleaning, but when it comes to drinking, the ATMs will come into play. Let’s hope Sarvajal finds success, for every person on this planet deserves clean drinking water.